What is it with NZ drivers and a sudden impatience when the traffic light turns? Generally kiwis are laid back, friendly and polite. Happy to wait and form neat queues for ticket sales or supermarket cashiers. Very polite and often even letting others go first. Nothing like the Dutch who are not good queuers at all. They believe more in ‘opportunity taking’ and being assertive. But when that light changes to orange, something weird happens in these otherwise calm NZ minds. The foot goes down, the car speeds up and impatience kicks in. The first seconds of a red light don’t count either, we must make it to the other side. As a pedestrian I have often wondered why I even wait for a green pedestrian light, as it is no guarantee that I can cross safely to the other side of the intersection. And trying to predict where cars will come from is almost impossible as well due to the concept of accelerating and that other challenge, the invisible indicator. I don’t want to claim I am a good driver, as I have lots to improve on. But basic road rules are there for a reason and not that hard to follow. Indicating is another one that seems to have lost its meaning somewhere along the line in NZ. We now think it’s normal to merge into highway traffic by just starting to move into that direction or turn the corner by, well, just turning the corner. No need to put that indicating light on, I’m sure they see me coming. Not quite unsurprisingly, there are a fair few accidents. Often these are blamed on the numerous drivers without NZ road experience. This may well be true. But do you agree that before we start pointing the finger, we could look at ourselves and be a little more visible and patient? 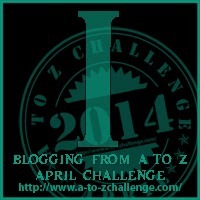 This entry was posted in A to Z challenge and tagged drivers, impatience, nz, traffic. Bookmark the permalink. send them here, would be great if they are always stuck in the left lane here !